Do You Patch SQL Server Regularily? Cumulative Updates are primarily intended for SQL Server environments where the issues being resovled are being realized. Though if you are using the components updated by the Cumulative Update it would be good to apply the update. Unless, of course, you’d rather spend the weekend behind an 8-Ball troubleshooting and resolving an issue that the Cumulative Update would have prevented. 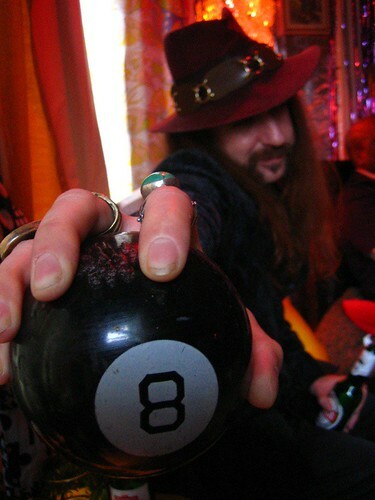 The 8-Ball might be a black and blue ball by Monday when you explain to your manager that the issue was completely avoidable. If you aren’t aware, Microsoft has an Incremental Servicing Model. This model provides guidance on what you should expect from Microsoft from a support standpoint for issues with their products. As part of the Incremental Servicing Model, Microsoft is committed to releasing Cumulative Updates every 2 months. All fine and dandy but what does that have to do with you? Or if today still feels like Monday… So what? The benefit of this model is that it allows us as administrators of SQL Server to develop a plan to regularily download and install the updates. This plan would, of course, include a process to install the updates in the development and test environments. And, also, detail what the steps are for testing and releasing these updates. Just like practicing your database recovery plan. You do practice this, right? Regularily updating your SQL Server environment provides an opportunity to become familiar with this task. This is a critical skill that every DBA should want to have. If you are well versed in a simple Cumulative Update deployment you have skill and knowledge that will be critical in other situations. When a hotfix needs to be deployed, you will already know your systems well enough to understand the collateral impact of the deployment. If you suddenly inherit a SQL Serve that hasn’t been maintained since an RTM install, you know what level of patching to place on the server and already have a process in place to get the job done. There are likey countless other reasons to take the time to build a process and skillset around regular patching. The long and the short of it is that it is good for you, good for your company, and the responsible thing to do. Next postWhy’d That Job Fail? Good post. I make an effort to stay current on Cumulative Updates, with good results over the last several years. I am always a little concerned when I see someone running a SQL Server 2005/2008 build that is a couple of years old.